These are school rooms belonging to the Collegiate Church, erected in Craddocks Walk, (later St Peters Walk) which led from the Churchyard, and ran down in between – at this time in the picture – the Retail Market Hall and the open patch and ended in North Street. The Schools attached to St Peters Church, were erected in 1847, at a cost of upwards of £1,500. There were many National Schools of similar design which went up during the 1840s, in Wolverhampton. 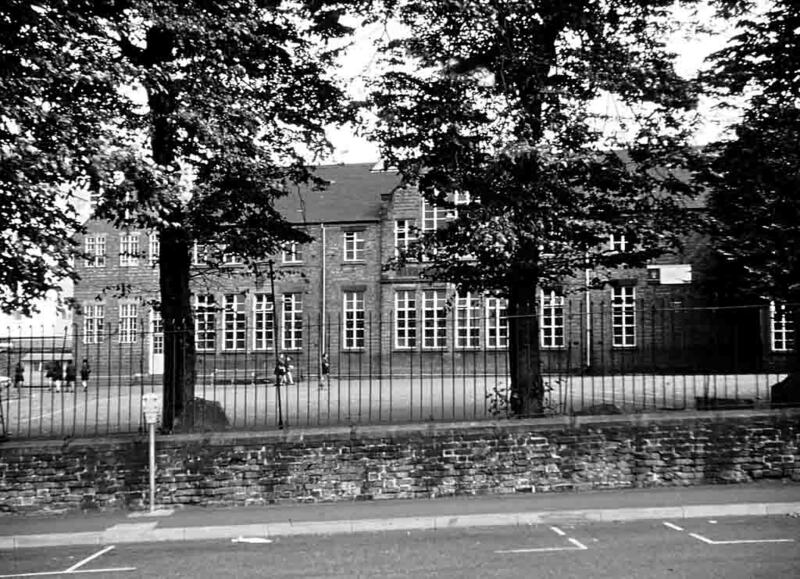 ( St Pauls, St Marks, St Matthews etc) where instruction was offered to children for small weekly payments, and some these schools were rigidly divided into separate buildings – for boys, girls and infants. 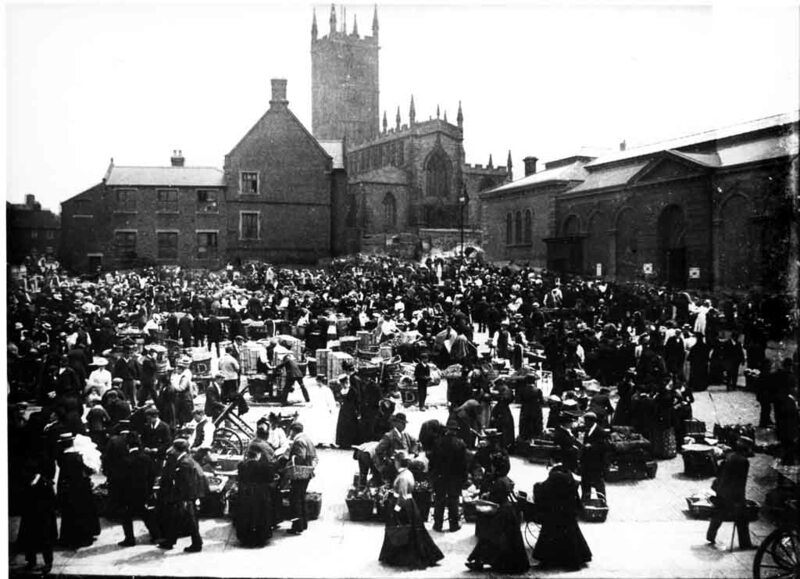 St Peters school remained on this spot until being taken down in 1903, when the site was acquired by the town and became an extension to the open market Place. The School was then re-built in St Peters Square at the rear of the Deanery, just 100 yards or so from the newly erected Wholesale Market, were it would remain for a further 70 years, until this site became part of the University. 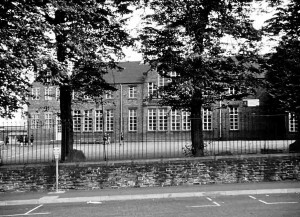 St Peters School now stands, off the Compton Road. 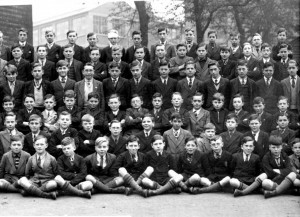 Sorry John, I didn’t have any post war photos of St Peters boys, but I have a section of the school photo dated 1936. Every time I happen to look at this nostalgic print I think about the school leavers during that summer of 1936. What future had they got to look forward to I shouldn’t think there were a great many in those days worried about getting a place at University, and jobs of any description were in short supply. 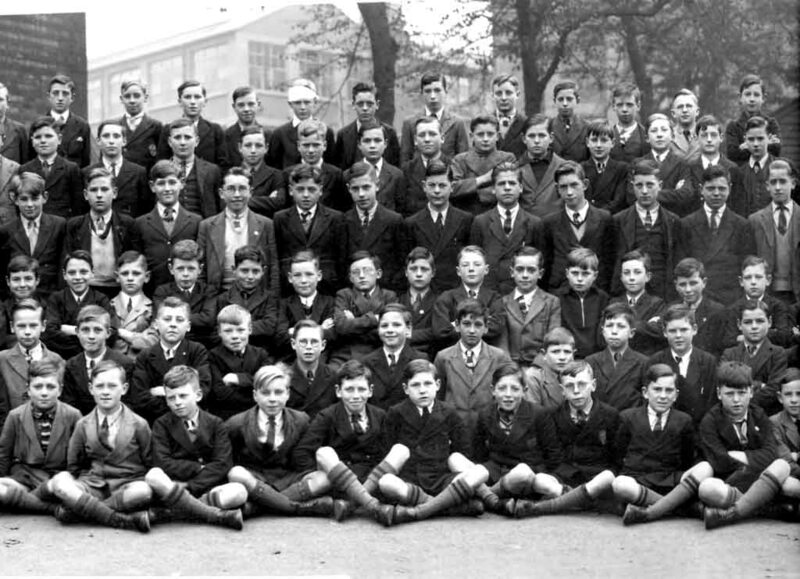 But as these lads approached their 18th birthdays in just four short years there would be plenty to occupy their minds and bodies we would be at war with Germany; the country that in the summer of 36 (as they left school) had hosted the Olympic games. I think about the lads that survived this war spending their time in the many factories on war production and on the land. Then I wonder about the many others who may have gone overseas an endured the likes of Arnhem and Normandy, and mostly I feel for the ones who never returned. I am very interested in the 2 old pupils of St Peter’s school. Alfred Harold Jones DOB 1889. I’m not sure they attended, but would be interested in the records please? Does anyone know which school the Catholic Irish children from Carribee Island and Stafford Street might have gone to between abt 1835 to 1865?